Debbie Bliss, Debbie Bliss and more Debbie Bliss!!! 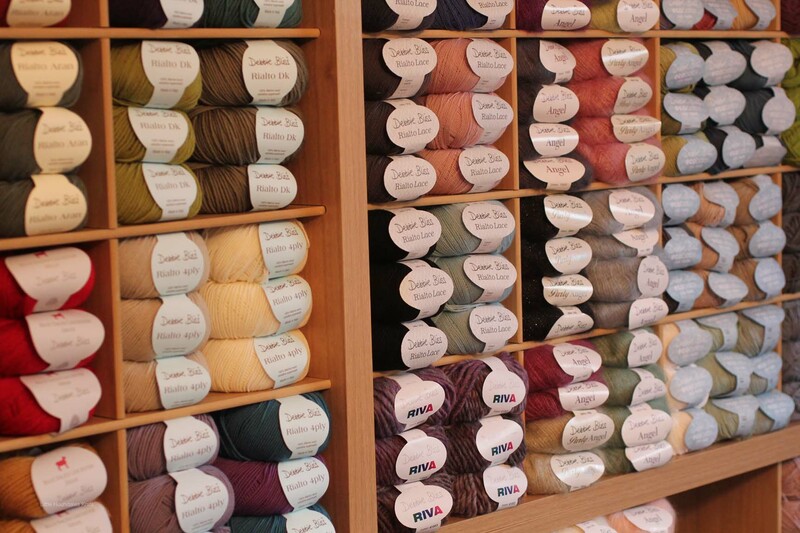 I’ve had a fabulous day unpacking boxes of Debbie Bliss yarns and booklets from Designer Yarns. I now have a large proportion of my Debbie Bliss winter stock and the Designer Yarns Choices Bolero Scarf Yarn. 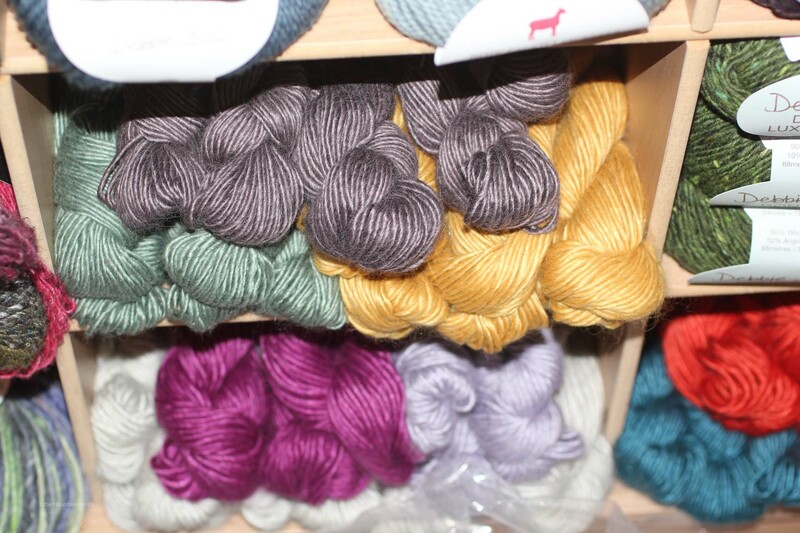 Still waiting for Debbie Bliss Winter Garden and all the new Louisa Harding yarns. 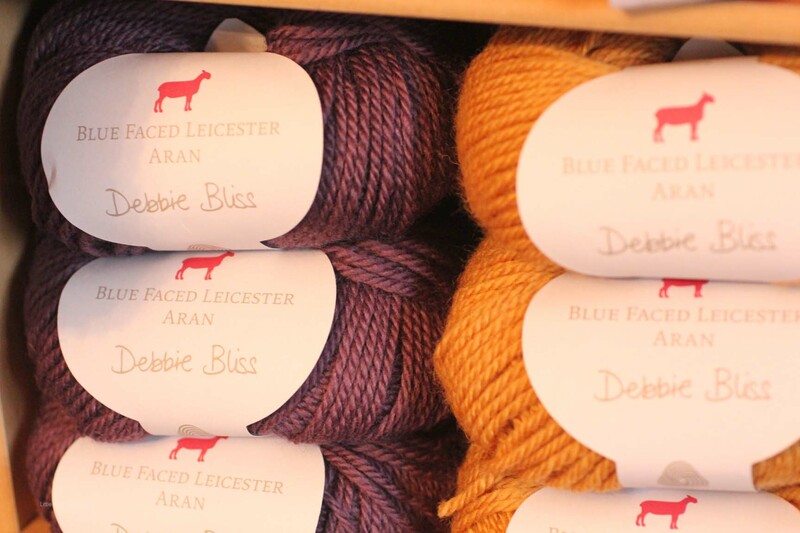 I’ve taken both the new yarns which are the Blue Faced Leicester and Winter Garden (still to arrive) but I’ve added to my existing range so I now pretty much carry the full Debbie Bliss range! Last winter I took on the Glen, Angel, Andes and Paloma. Over the spring and summer, I took on the Rialto Lace, Baby Cashmerino in 25 shades, the Eco Baby in 18 shades, Eco Aran, Cotton DK and Amalfi. I’ve now added Rialto 4ply, Rialto DK and Rialto Aran, the bulky weight yarn – Riva, the gorgeous Luxury Aran Tweed and I’ve taken on some new shades in the Andes. I have really enjoyed putting colours together and rearranging shelves this afternoon, all of the summer stock has come off the shelves now (there’s still some bits left at reduced prices on the website!). My faithful helper has packed boxes, arranged baskets and done all the lifting and stretching, allowing me to potter….she struggled to keep me under control though!!! This is the Blue Faced Leicester…. 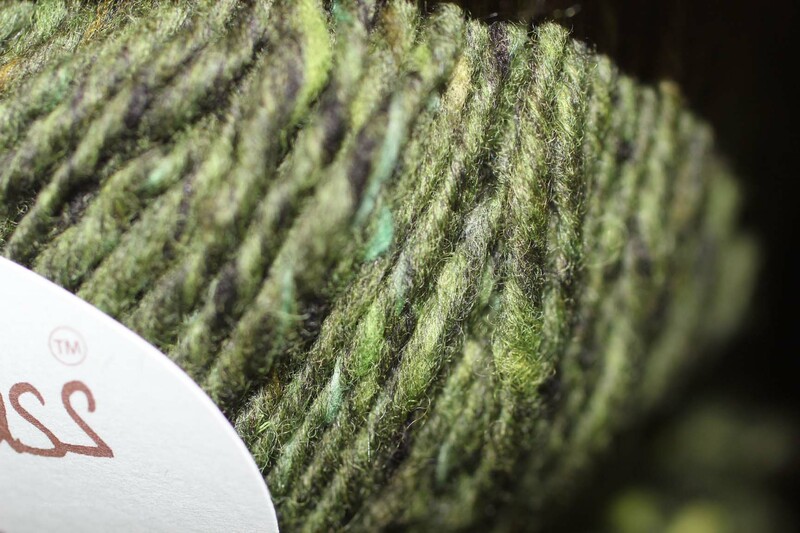 The Blue Faced Leicester is 100% BFL as the name suggests, it is 100% Yorkshire….that is spun, dyed, balled and packaged! It has a lovely traditionally ‘British’ twist with a slight sheen. I know from just looking at it that it will have amazing stitch definition! I can’t wait to get some on the needles!! 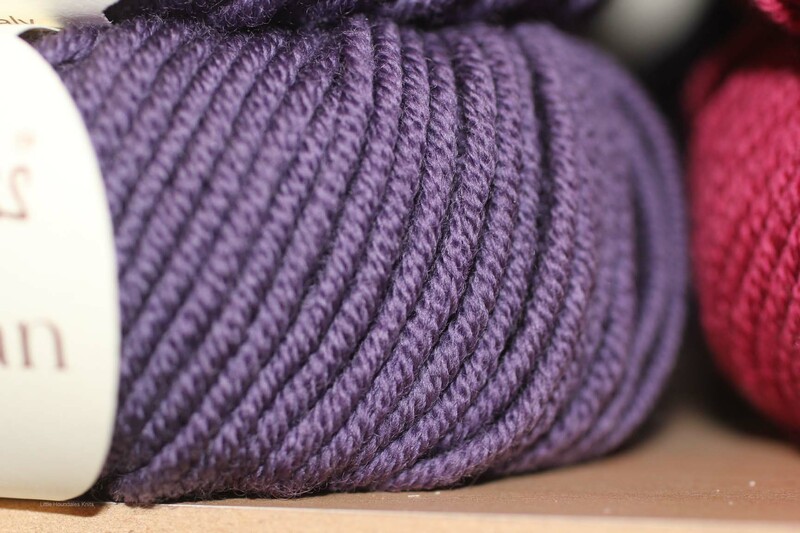 Rialto Aran is 100% Merino. It has a very tight twist, completely different to the BFL. It’s a very tough and hard wearing yarn which is down to having such a tight twist, all the fibres are interlocked so there are very few loose fibers to matt and pill! This is the Luxury Aran Tweed….. 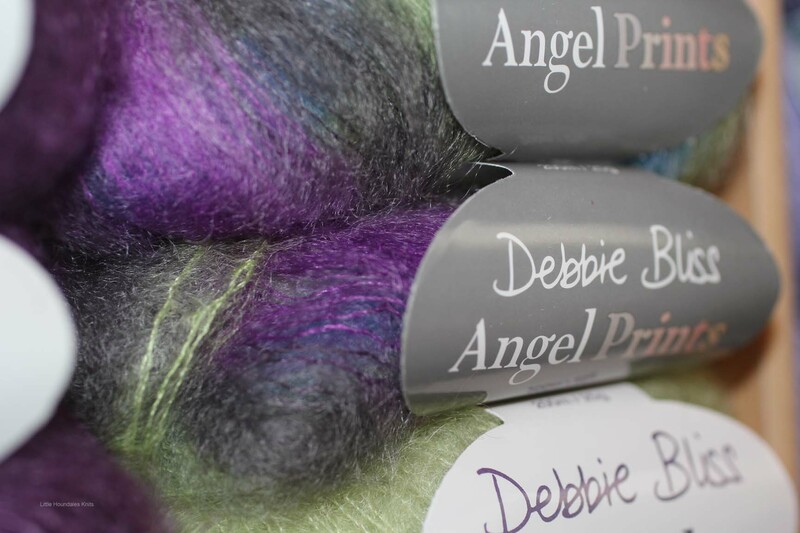 There are three pattern books in the Debbie Bliss range which are dedicated to the Luxury Tweeds. I’ve only taken stock of the Aran weight, some of the designs which use the chunky are gorgeous but I think I’ll have to order these as special orders on request as the yarn usage is heavy, I would need so many packs I’d need a warehouse! 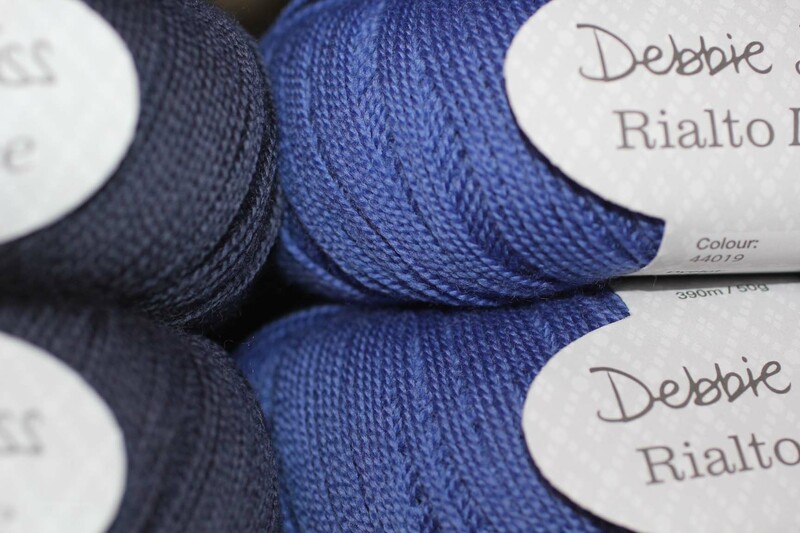 Rialto Lace is just devine, if you like doing lace work and have never tried this, I heartily recommend you give it a go, the twist is tight, the same as all the Rialto range and again, it’s 100% merino. It is so light and so delicate, you will just love it!! I’ve had a couple of samples knitted in it and they really do attract attention! This one is a particular favourite and has appeared in one of the published knitting magazines earlier in the year…. This beautiful lace wrap takes only 3 x 50g balls of Rialto Lace……at just £5.00 a ball, need I say more!!! Andes is a silk and alpaca blend, it is so soft you could just sit with it on you lap and stroke it all evening! The colour range is devine, there are two supporting booklets for Andes, the first one is called ‘Andes’ and the later one which was released for winter 2012 is ‘An Andes Story’. My daughter is mid way through making this one…. This is how its all looking!! So, as you can see, it’s all coming together! I need a good bright day tomorrow to photograph all the colours properly so I can get them on the website as soon as possible….you’ll be wanting them now you’ve had a taster!!! 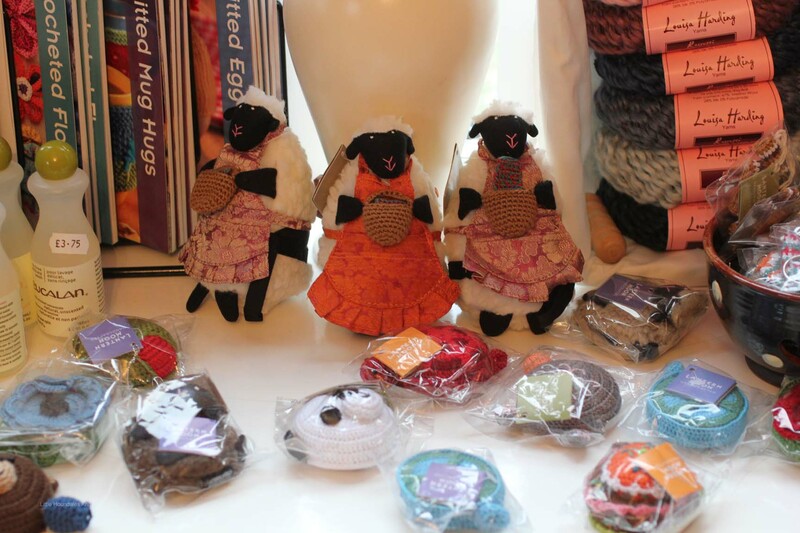 One more thing to show you, although not Debbie Bliss, are these lovely Lantern Moon cable needle and gadget holders called Baaabs, great for popping your darning needle in whilst you sew up!…..There’s also some of the new Lantern Moon tape measures in the pic too!! This entry was posted in Knitting Wool and tagged an andes story, andes, angel prints, debbie bliss, debbie bliss andes, debbie bliss angel, debbie bliss baby cashmerino, debbie bliss blue faced leicester, debbie bliss eco baby, debbie bliss luxury tweed aran, debbie bliss rialto, debbie bliss rialto 4ply, debbie bliss rialto aran, debbie bliss rialto dk, debbie bliss riato lace, debbie bliss riva, debbie bliss winter garden, knitting, knitting patterns, knitting yarn, wool, yarn, yorkshire wool. Bookmark the permalink.